With Brussels sprouts now in season, it's time to start thinking about your favorite way to prepare them. There's no reason why people only have this colourful vegetable once or twice a year. They're high in vitamins, iron and fiber. So, break away from your usual choice of side veggies and try these little bundles of green joy a try. The best way to prepare Brussels sprouts is to keep it simply. Overcooking them in heavy gratins with too much cream and butter seems like a waste and doesn't make them taste any better. 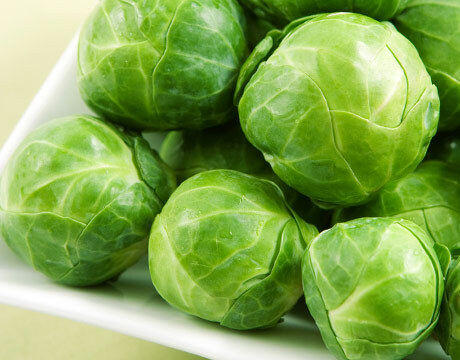 Wash each Brussels sprout and pat dry, removing any loose leaves. Then, trim the stem ends and make a shallow "X" in the sprouts; this allows the heat to penetrate more effectively and cook the veggies more evenly. Here's a great recipe to try making this Thanksgiving, Christmas or just the next time you're in the mood for Brussels sprouts. Heat oil in a large skillet over medium heat. Add Brussels sprouts and carrots and saute until sprouts start to turn golden, about three minutes. add raisins and chicken broth and continue cooking until the sprouts are tender, about 10 minutes. If the pan becomes too dry, add a little water to continue cooking. Meanwhile, toast the pine nuts or almonds in a small pan until fragrant. Chop and set aside. When Brussels sprouts are done, season with salt and pepper, top with nuts and serve hot.